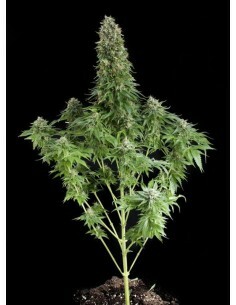 The structure of the plant is very similar to the classic Skunk strains, with the shape of a fir and lots of side branches. Large flowers covered with aromatic resin and a huge main cola on top. The flower clusters are very dense and in the course of flowering they get completely covered in resin.